This short story was originally published in the WORLD WIDE WRITERS Magazine, (UK, November, 2000). It was republished in the webzine, Mysterical-E, in January 2001, and was voted one of the best five stories of that year. About a man and woman who discover evil doings in the South American rainforest, it was one of the first stories I wrote that wasn’t set in Chicago. 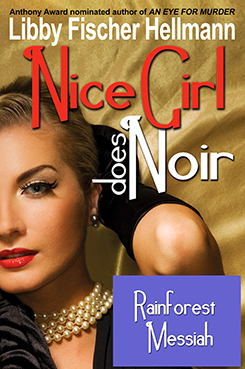 It is also in NICE GIRL DOES NOIR.